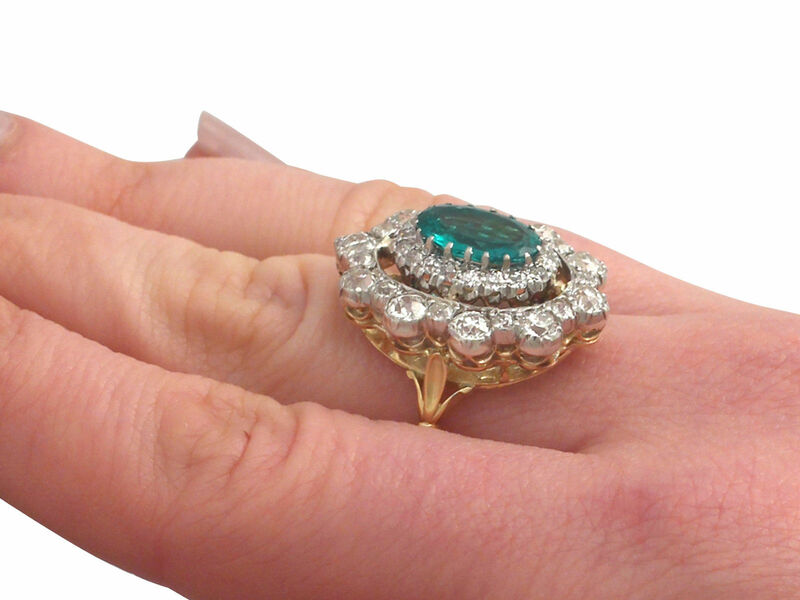 An exceptional, large antique 3.12 carat emerald and 3.15 carat diamond, 18 carat yellow gold and 18 carat white gold dress ring; part of our diverse antique jewelry collections. 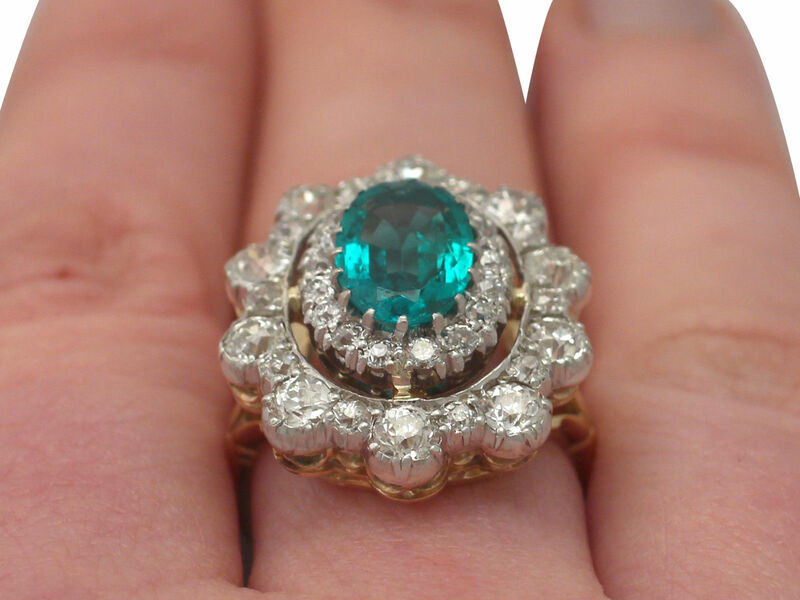 This stunning, large and impressive emerald and diamond ring has been crafted in 18 ct yellow gold with an 18 ct white gold setting. 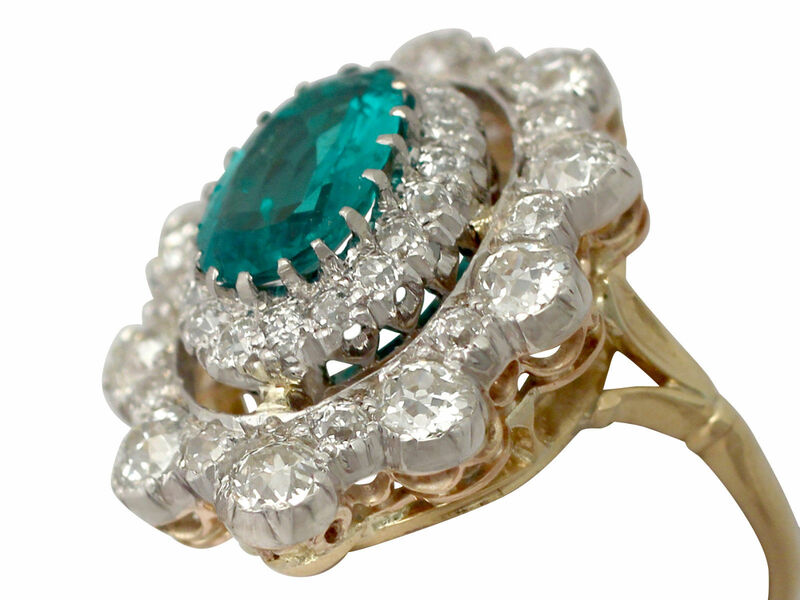 The pierced decorated, halo style cluster design is ornamented with a feature 3.12 ct oval mixed cut emerald claw set in relief to the center of the arrangement. 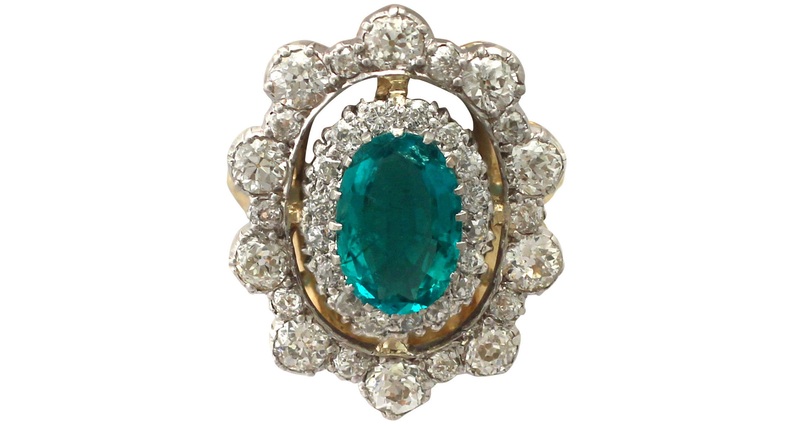 The large emerald is encircled by seventeen individually claw set Old European round cut diamonds. 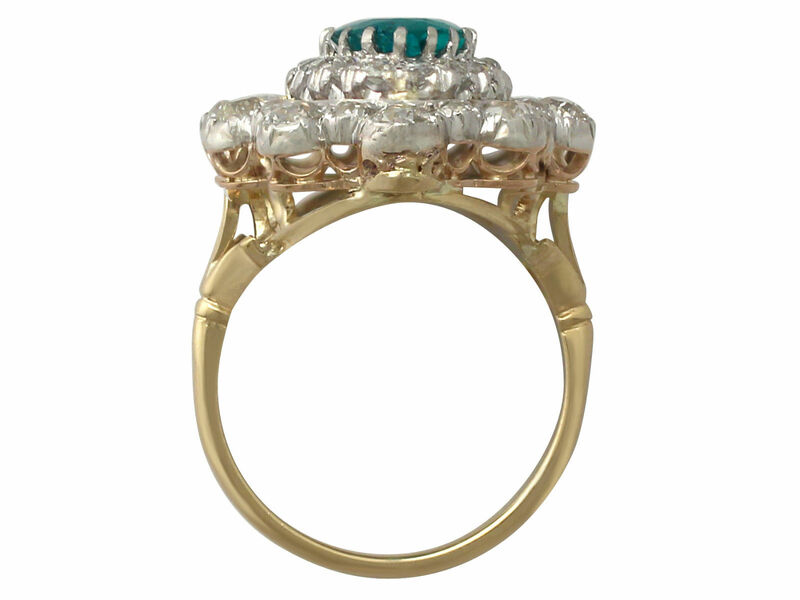 The central cluster is set to the center of a completely separate frame, ornamented with twenty collet set Old European round cut diamonds, alternating between larger and smaller sized stones. 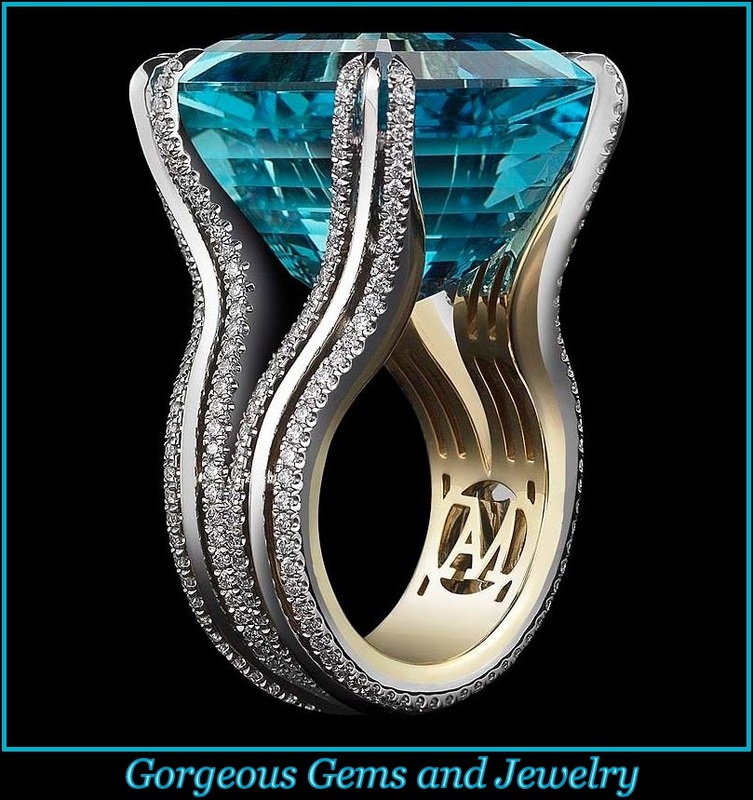 The trifurcating ring shoulders have a scroll and leaf design, and amalgamate at a subtle cuff design, blending with the plain ring shank. 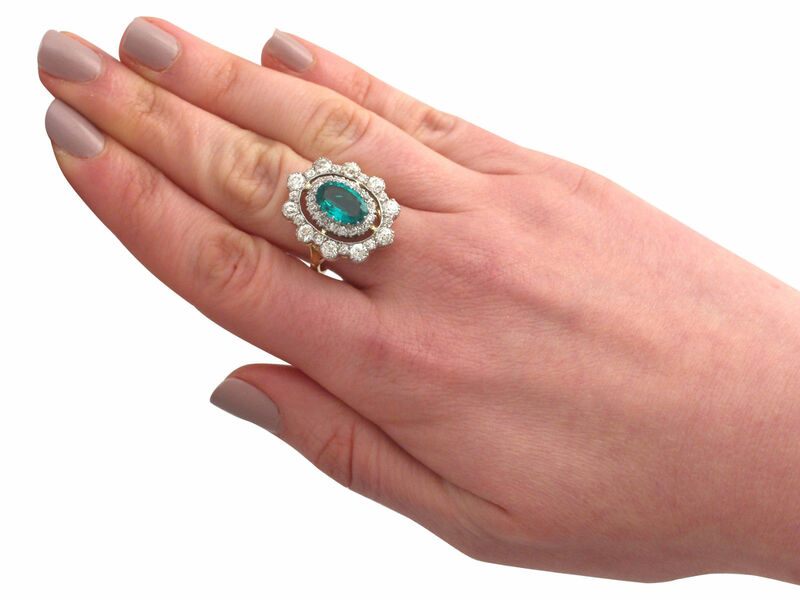 This impressive large antique dress ring has been independently tested using state of the art technology (Niton XL2 Analyzer) and verified as 18 ct gold. Available at AC Silver Antiques. 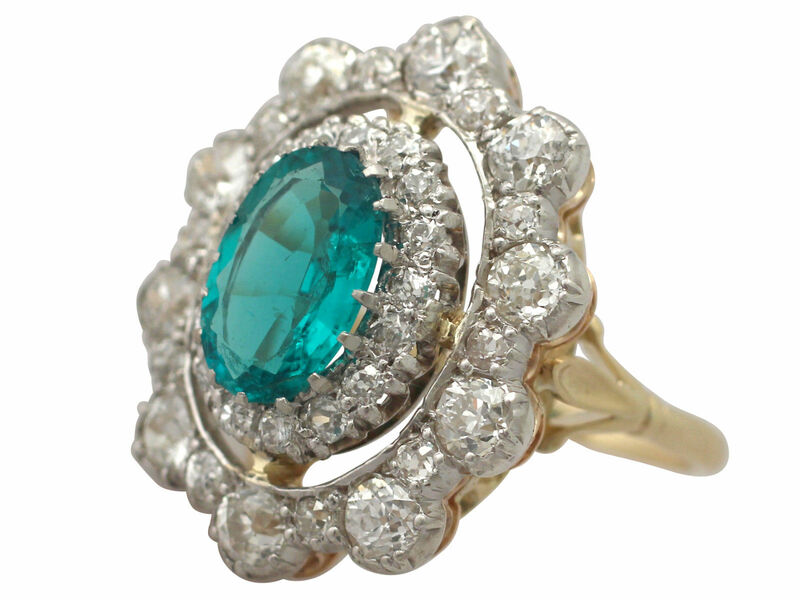 This stunning antique 1930’s cocktail ring is exceptional quality set with an emerald and very well color matched, very high color graded old cut diamonds. 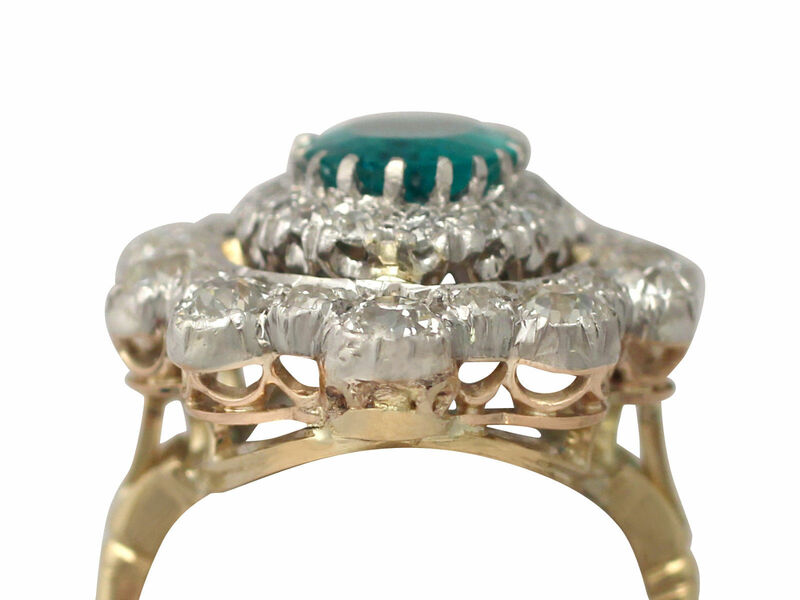 The ring is an exceptional gauge of gold and is in excellent condition.